This digital age makes it more and more possible to flip the classroom. Today, almost 50% of households worldwide own a computer, not to mention any other devices like Smartphones. There are 4 388 million active internet users. Depending on what possibilities your students have at home, you can easily go with the flow and embrace creating a digital classroom. Especially when it comes to flipping the classroom. 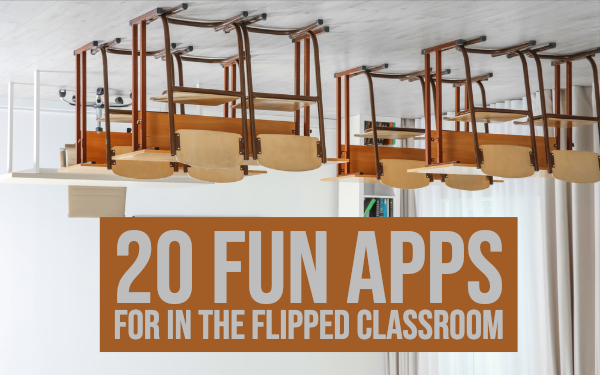 In this blog post, I selected 20 educational flipped classroom tools. Many of these tools provide a database with flipped classroom resources, created by other teachers. But first, I’ll start by giving you a quick reminder about what a flipped classroom actually is, and what the advantages of a flipped classroom are for you and your students. Flipping the classroom is a pedagogical education model that reverses the typical elements of lecture and homework. So, how does the flipped classroom work? In most cases, students are instructed to view short videos at home, before they come to the class. By doing this, classroom time can be freed up to be spent on discussions, exercises and projects. The video lecture can be seen as a key ingredient of the lesson, but it can actually be any learning material that provides sufficient self-explanation. Flipped learning is an example of blended learning, a mix between traditional teaching in class and e-learning. What are the benefits of a flipped classroom? The major advantage of a flipped classroom is that class time can be used to foster a deeper understanding, or for enrichment activities. It also shifts the role of the teacher from that of a lecturer to that of a coach, which results in a better learning experience for students. At the beginning of a class, the teacher will already know what the students have learned, and he or she can then assess areas that require further exposure. This allows the teacher to work together with the class, focusing on those needs that require most learning. For the list below, I looked for apps that really combine forces to deliver a good flipped learning lesson. It’s not just video apps I will be showing you, but apps that allow you to combine several resources such as video, text, images, links, and evaluation tools. These bring you more than just sharing a YouTube video with your students without knowing what insights they got from it. Flip the classroom with Edpuzzle, an easy and effective way to deliver videos in your classroom or outside your classroom. It’s not just a video distributor: with Edpuzzle, you can make the video come to life by adding audio-notes and questions. Edpuzzle makes it easy to add comments to videos, and the questions make the video more interactive. When should you use Edpuzzle? You can use it to empower critical thinking when students watch a video. Perfect to use in a flipped classrooms. Students can download the app and receive video-assignments directly with questions, so they can check their understanding through the video. 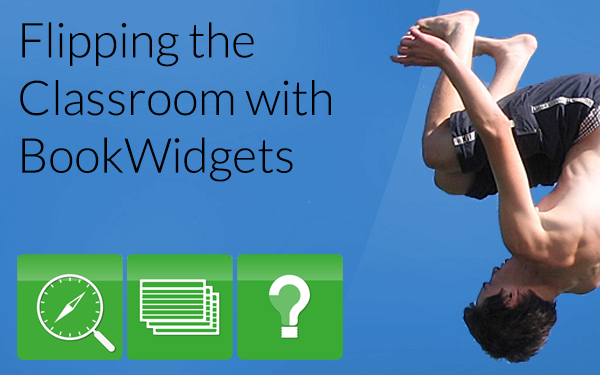 BookWidgets allows you to make interactive lessons. BookWidgets provides strong digital templates of all kinds of interactive exercises. You just have to add your own content. Choose between more than 40 different widgets or “exercises” to engage your students. Make your own adapted crossword riddles, video’s, jigsaw puzzles, web quests, quizzes, timelines and much more. Bonus: it does the grading for you. You can also put all the exercises together in a WebQuest. Here’s a flipped classroom example with a BookWidgets WebQuest. Just share a link with your students and they can start working at home. At the end of the WebQuest, you can add a quiz to test your students' understanding. That way, you know where to start in your lesson. You get your students' results instantly via the “grades and reporting” tab in BookWidgets. BookWidgets integrates amazingly with learning management systems like Google Classroom, Canvas, Moodle, Schoology and Apple Schoolwork. Symbaloo helps you organize your web (or classroom) resources in one place. These resources are stored on a dashboard in the form of buttons. This dashboard can be set as your homepage, so you can find all the resources you need immediately. It gives you the possibility to personalize the dashboard. For teachers, Symbaloo has a special section that gives you the possibility to create your own learning paths or lesson plans. Just share the link or classroom code with your students, and let them discover the learning path independently. You can add videos, links, BookWidgets exercises, and more to the Symbaloo tiles. BrainPOP creates animated resources that support teachers and engage students - in school, at home, and on mobile devices. Their content includes movies, quizzes, games, mobile apps, activity pages, and much more. The content covers hundreds of topics within Math, Science, Social Studies, English, Technology, Arts & Music, and Health. Use their resources so students can watch and interact with their fun and clear videos at home. BrainPOP allows students to take some actions after seeing the explainer video, such as “write about it”, “draw about it”, “play a game” and much more. With Explain Everything, you can really explain everything. It’s an educational app that enables you to make your own interactive tutorials and presentations. The principle is simple: Explain Everything is an interactive screen casting whiteboard. This means that you can make a presentation, and record everything you are drawing and saying. Draw, add pictures, highlight and write text. You even have a nice red pointer. Record everything you do within the Explain Everything app (even yourself when using the front-facing camera) to create high quality, creative, and meaningful content for others to learn from. You can easily make explainer and instruction videos and send them to your students. A great app for flipped learning in a flipped classroom! If you are a language teacher, this app is heaven! Duolingo is made for teaching foreign languages, and was awarded “the app of the year” in 2013. Google invested a lot in this language app. There are just so many languages to choose from. Students have to set a goal, from 5 up to 20 minutes a day, and pick if they are a beginner or not. If not, they have to take a placement test. Duolingo focusses on words and their translation and is very intuitive. Duolingo is a microlearning app, perfect to use for flipped learning. Ask your students to go through some lessons at home and talk about it in the classroom. TED-Ed is TED’s youth and education initiative. TED-Ed wants to celebrate the ideas of teachers and students around the world. Everything they do is with only one goal: supporting learning. They produce a growing library of original animated videos, and provide an international platform for teachers to create their own interactive lessons. All the videos made by TED-Ed and other teachers are mostly short videos that don’t last longer than 5 minutes. Choose a lesson topic, and find a suitable video in the library. It’s very helpful with finding resources and helping you to explain something. Bonus: you get to save preparation time! The videos ask your students to solve enigma’s or to think critically. When they come to your class the next day, you have some stuff to discuss. Students can also create (TED)talks about certain subjects and perform them in front of their fellow students in the classroom. Clarisketch is an app that enables you to create animated sketches. Combine speech, drawing and photos to clarify your intentions or instructions. How could you use it in your classroom? Well, there are a few possibilities: Create flipped classroom videos, Explain a complex process, illustrate a given topic, clarify what exactly students have to study or do for homework, and give students feedback by talking. It’s clearer to the students than some weird icons and unreadable notes on paper. When students have to work at home independently, it’s always better to have some extra instructions. This way, they are sure what they have to do and whether they are doing it right. No more confused students in the next lesson. With TES teach you can create digital lessons in a few minutes. Engage your students by creating interactive lessons. 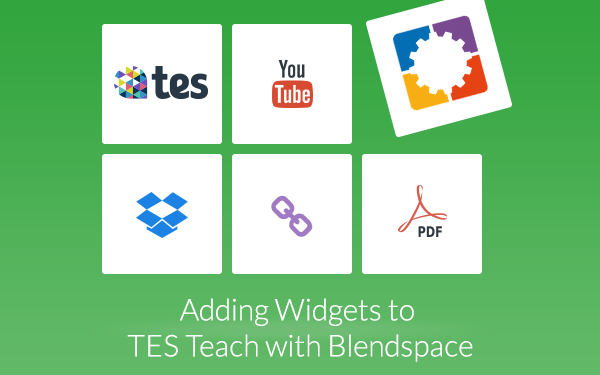 TES Teach with Blendspace makes it easy to plan, build, and deliver a lesson by integrating content from YouTube, TES resources, your own files, and other digital media somewhere on the internet. Just drag and drop the material on the TES teach dashboard. You can even add links from BookWidgets so your students can get activated by interactive and fun widgets. Khan academy started out with its famous YouTube videos. Now, you can just go to their website and search for a learning video about the topic you want to teach. Choose between subjects such as Math, Science & Engineering, Computing, Arts & Humanities and Economics & Finance. By signing up, you can create a classroom, and invite your students to take some video lessons and to take a quiz afterwards. This is really handy for flipped learning. You can even follow your students' progress from a distance. Afterwards, you can see what parts of the lesson students didn’t understand, and explain it again in the classroom with some exercises as well. With ClassFlow, teachers can deliver interactive lessons that increase the depth of student and teacher engagement. ClassFlow provides the collaborative use of classroom devices, digital curriculum and assessments for learning. Students can access the lessons from home and start learning. With Nearpod, you can create interactive presentations. Add slide by slide or choose a special Sway template you can adjust. All those slides make an amazing interactive presentation, especially if you add activities like quizzes, open ended questions, BookWidgets exercises, polls, draw questions and others. What about taking your students on a field trip within your presentation? Just add a slide with a virtual reality experience from Nearpod’s library. When your presentation is ready, your students can opt in by entering a code in their Nearpod smartphone app. As a teacher, you are in charge of the presentation: when you switch to another slide, the presentation on your student’s phones will also switch to that slide. You can also let your students go through the presentation independently, which is more suited for flipping the classroom. When your students have to make a quiz or a poll, they can just do that on their screen, as it is a part of the presentation. The answers are gathered live, so you can see immediately what your students answered and use that information to adjust your lesson the next day. Kiddom is a one stop shop for LMS and curriculum management that offers options to differentiate learning. Blended learning (like flipping the classroom) isn’t just giving students technology without a plan. 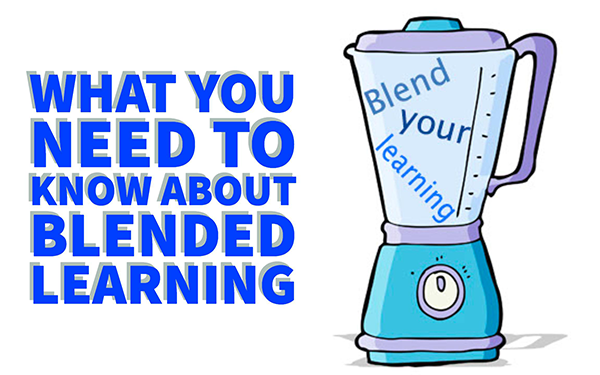 Using Kiddom, teachers can build a variety of blended learning models for each student. When flipping the classroom, you get back data form your students. Who answered what? Who is behind? Who already knows everything? Kiddom is an excellent option for monitoring individual progress toward goals. This way, teachers can differentiate and choose what content they send to which student. PlayPosit is an online learning environment in which teachers can create and share interactive video lessons. Teachers begin with any online video they made or found (screencasts, Khan Academy, TED, etc.) and transform the passive content into an active experience for students, with time-embedded activities. PlayPosit is designed for K-corporate, flipped, and blended environments. Create engaging videos with Hippo Video. Record a digital whiteboard explainer, classroom, interview through webcam or just screen record an entire web browser screen and include audio to boost student engagement. Hippo videos can be made available anywhere and any time to all the students, a great advantage when you’re flipping your classroom. You can even record all your lectures from classroom, lecture halls, or from home, and create a learning video portal for students, which they can access from home. Students can even use the webcam to record a video of the slideshow as they present and email it to their teachers and classmates. This tool allows students to learn at their own pace. Recording instructional videos can give students an option to watch later and saves the teachers time. Loom is a screen capturing software that allows you to make instructional videos. Capture your screen or your front-facing camera and narrate it all at once, then instantly share it with your students with a simple link. When you show something and explain it, you make sure you’re understood by your students. On top of that, your communication with the students is more personal with the nuances of tone and facial expression. Out of all the screen recording tools, Loom is very easy to use! WhatsApp (or any other social media platform that allows communication, such as a secret Facebook group for your course) can also help when it comes to flipping your classroom. When students have to go through subjects by themselves, they might get stuck. A social media platform offers your students a way to communicate with each other and ask questions about their homework. That way, they don’t have to bother the teacher all the time. Of course, you can just make sure to get your instructions right with basically all the apps mentioned above. ShowMe lets you create video lessons on whiteboards where you literally show your students. You can use this tool to write, draw, talk and record your voice. You can use it with any age group because it is open ended. Teachers can use this tool to create flipped classroom instructions, and students can use it in the classroom to explain an assignment about a certain subject they were taught at home. The Doceri iPad app allows you to put together hand-drawn lessons while recording your teacher voice. Doceri is very adaptive, meaning that you can edit a lesson at any time. You don’t have to draw and speak all at once. You can also add an audio file at any point when creating your flipped lesson. If necessary, you can change parts of the lecture instantly, even when you’ve already shared it with your students. You can share the lessons via Facebook, YouTube and over email. This is a powerful educational tool which can be used in and outside the classroom. Poll Everywhere is a voting system, completely reinvented! As a teacher, you have to set up a question on the web interface or smartphone app. Students can see it on their PC, tablet or mobile phone. Questions can be polls, but also open ended questions such as “give me a tip to improve my teaching”. Students can respond by using the web app, a text message via the Poll Everywhere smartphone app, or even Twitter. You get instant audience feedback. Another fun feature is the ability to make nice charts of the answers. You can easily get started analyzing the results. Poll Everywhere can help the flipped classroom teacher to keep track of the educational progress of the students. These were my top picks of flipped classroom tools for teachers. I hope I gave you the right tools to flip your classroom, and to start with blended learning. Share this post with fellow teachers that are trying to get everything out of their flipped classroom as well.